The weather was beautiful (thank goodness) but I think the roof is delaying completion since it is supposed to rain through Wednesday here (boo!) but hopefully the end of the week will be nice. I took a ton of pictures so this will be a little picture heavy but here it is, the newest edition of weekend recap in the Otey household. 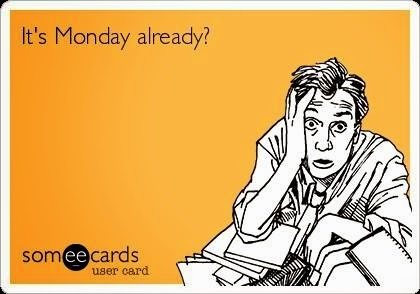 Hope you all have a great Monday and rest of the week! Thanks for stopping by and following along! Yay for counter tops! LOVE them! Master closet island is almost complete, needs ply wood sides and hardware now! 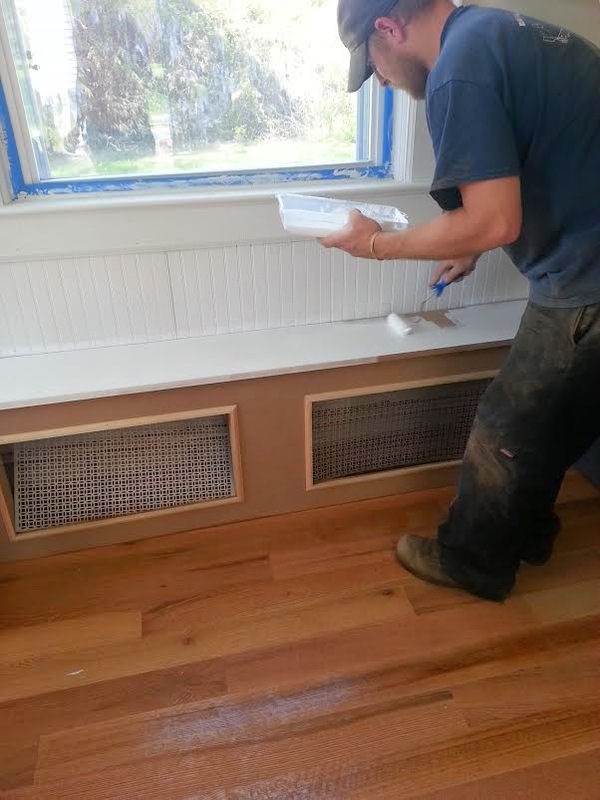 Painting the paneling white for now! FINISHED! Time to put washer/dryer in! Wine themed toile!! haha Love it! I LOVE your cabinets! It's coming along so good! Gorgeous! Gorgeous! I love it all woman!!! Yay for a productive weekend! Love those countertops, too beautiful! 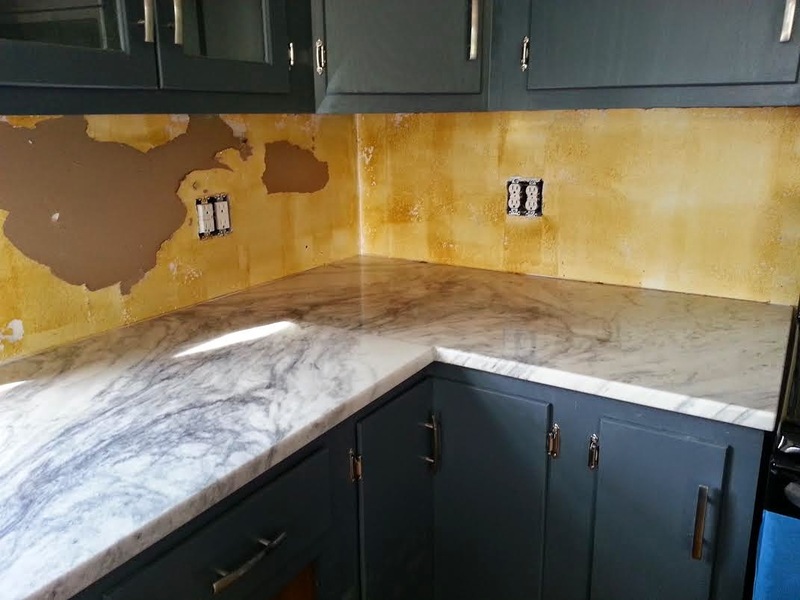 Whoa, I love how the countertops are looking! Beautiful! Girl, everything looks so amazing! I LOVE your counter tops and am only a little jealous that you have an island in your closet :) Hope the weather cooperates for you guys this week! I seriously love seeing all these progress pictures! You guys are doing such a wonderful job!! Eee! So exciting! Glad you guys had a great weekend to work! Can't wait to see more! It's looking great!!!! 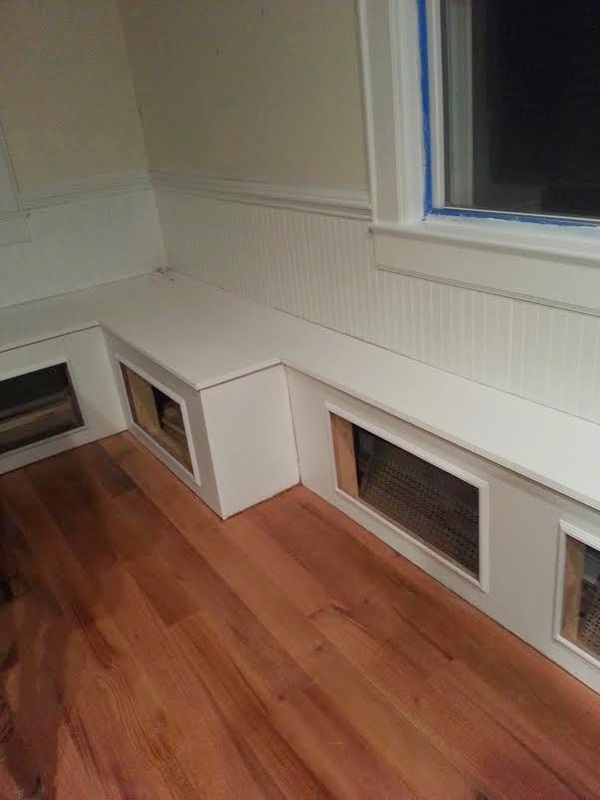 Can't wait to see the finished projects! 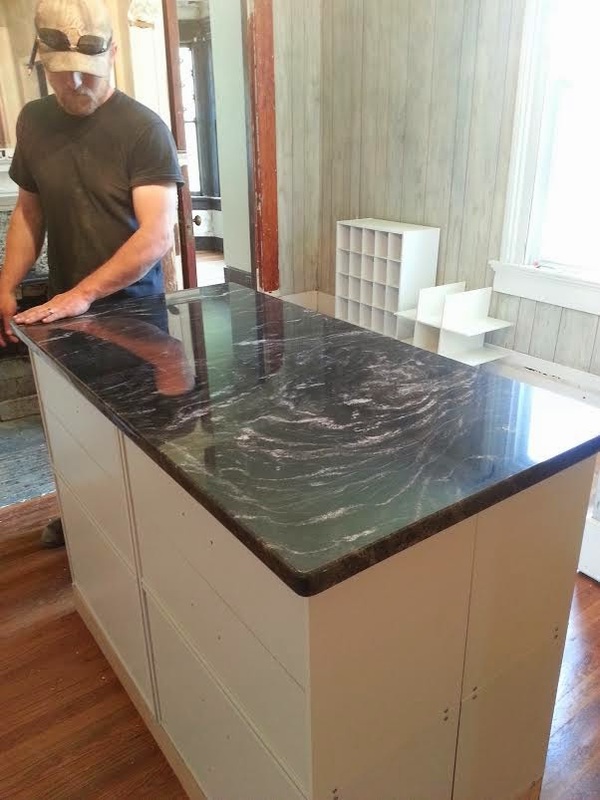 That countertop is gorgeous!!! 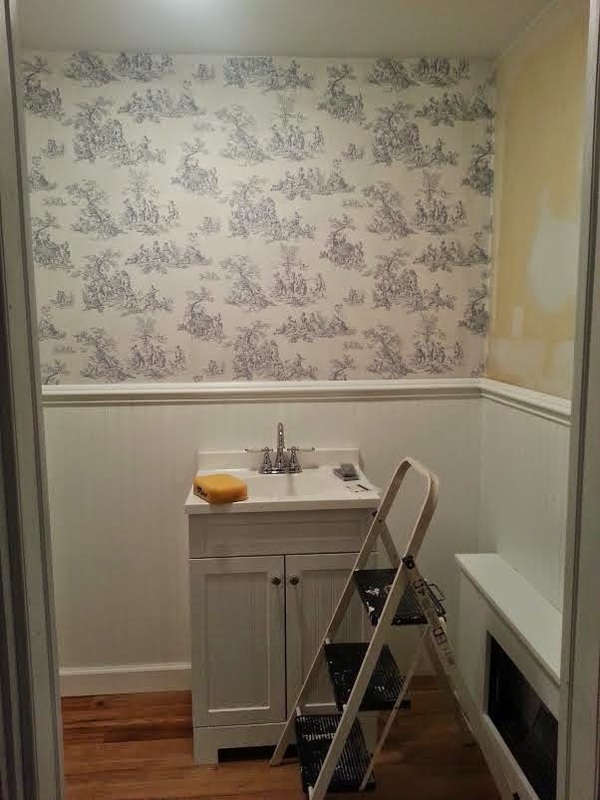 And that bathroom with the toile wallpaper is just the cutest thing ever. You guys are doing such an amazing job! You guys work SO HARD. 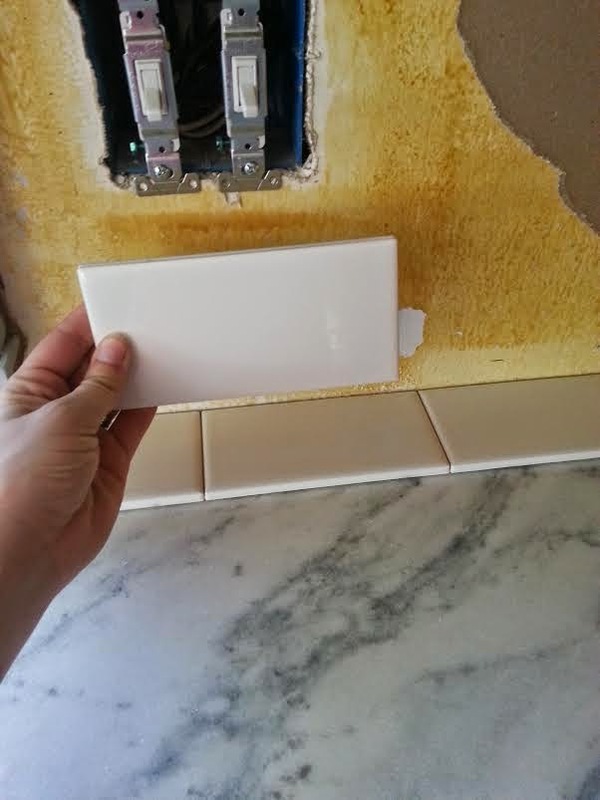 Are you going to flip other people's houses once you're all done? Everything is looking STUNNING!! It's going to be absolutely beautiful in the end! Girl...how DO you do it?!!? Are you not just totally exhausted ALL.THE.TIME?!!? I'm thinking seeing progress must give you additional motivation...which must amp up the adrenaline to keep you & the hubster going. Seriously...I want to take a nap for you! I'm sooooo impressed though! Everything is looking awesome! And I still just want to live in your master closet! XOXO! oh my goodness this remodeling is coming along great! i love the granite you selected and you have a master closet island, so fancy! Holy Moly! Loving the granite and wall paper! You guys are just so handy aren't you? You guys must be exhausted but those projects look like so much fun! Love the counter tops! 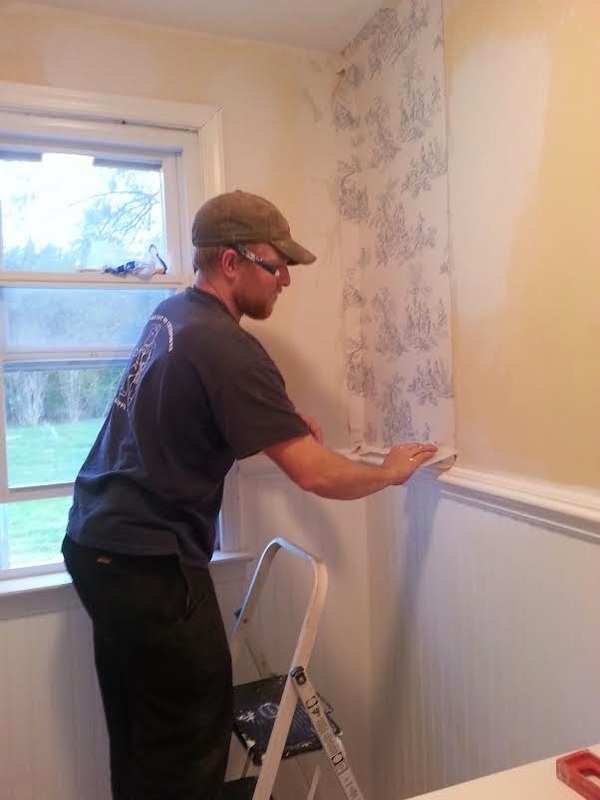 Your house is going to be gorgeous! 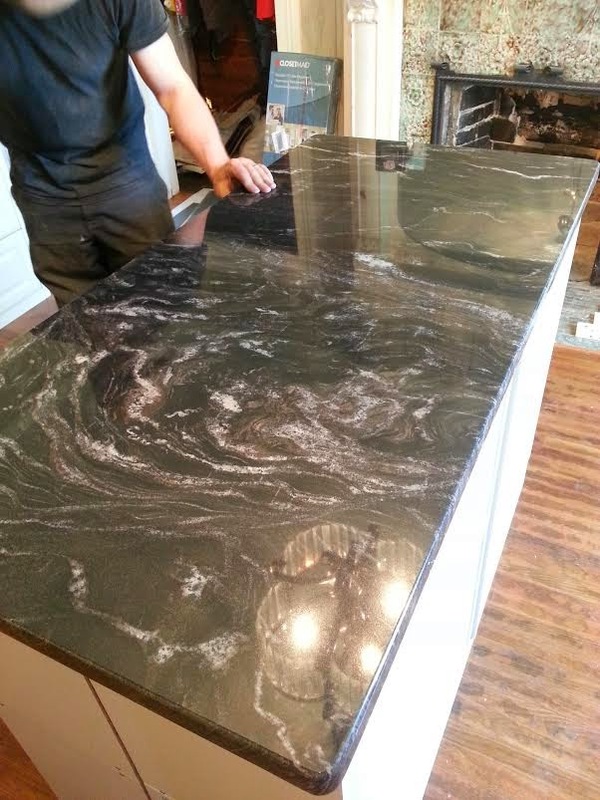 Your counter tops look amazing!!! Love them with the cabinet color!! Love this! 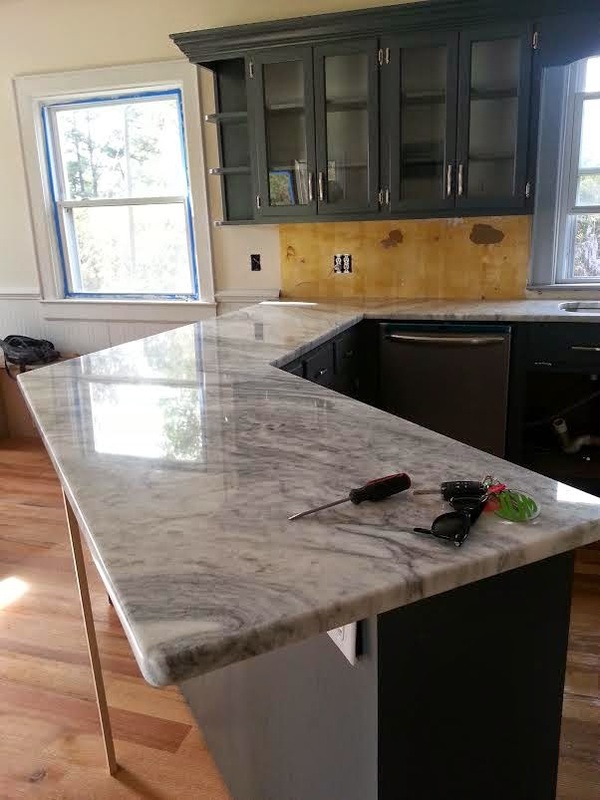 And those white/gray marble countertops are just heavenly!! So fun! Oh. My. Goodness. It is coming together so nicely! 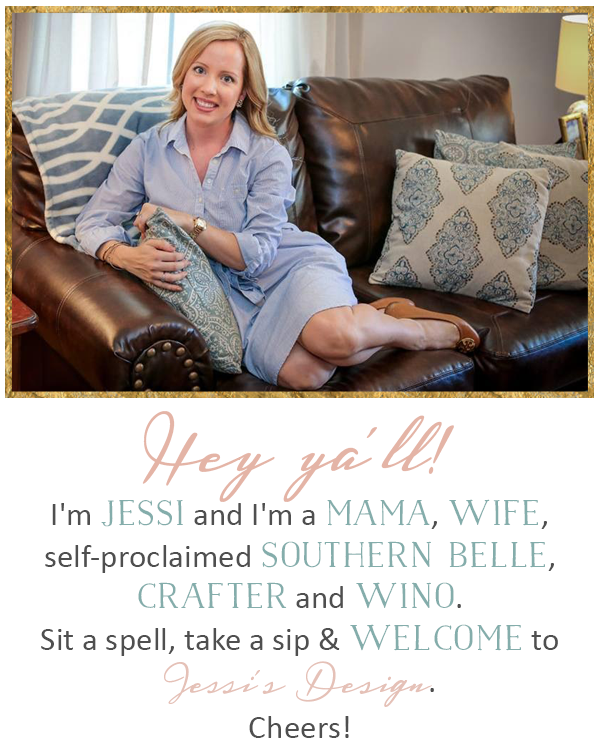 I am beyond excited to see the finished product -- as I know you are! Yay for getting so much done this weekend! Loving your counter tops!! 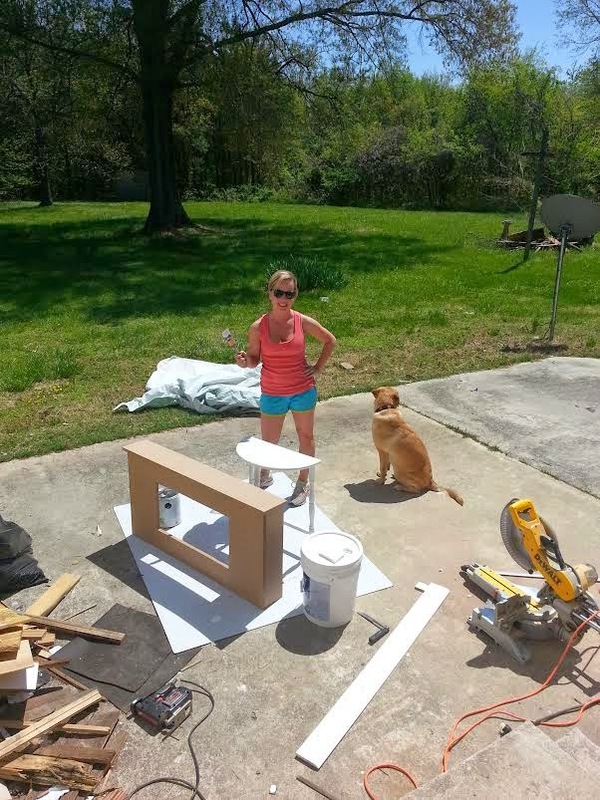 Looks like you have a lot of fun home projects in the works! Can't wait to see more progress! 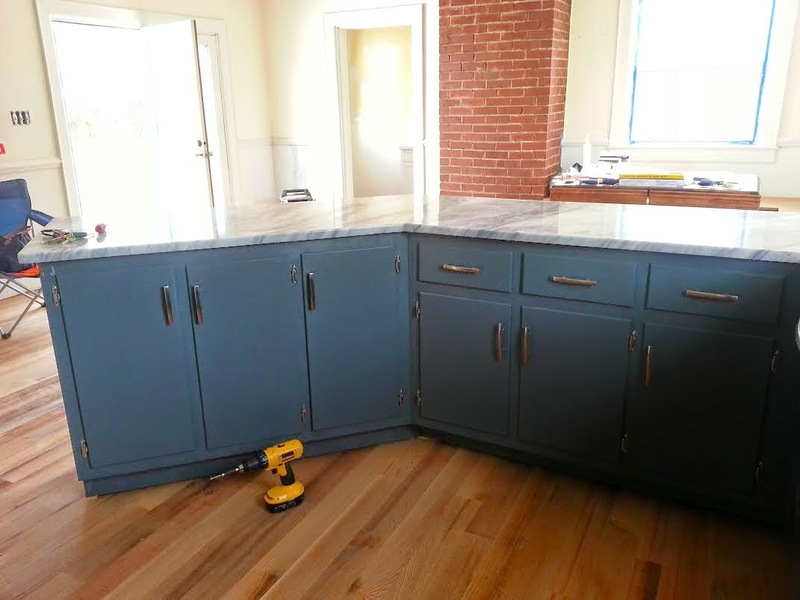 I love the color you chose for the kitchen cabinets & the granite is gorgeous!! How awesome to have such a huge master closet! Everything looks fantastic - so fun watching yalls progress!! 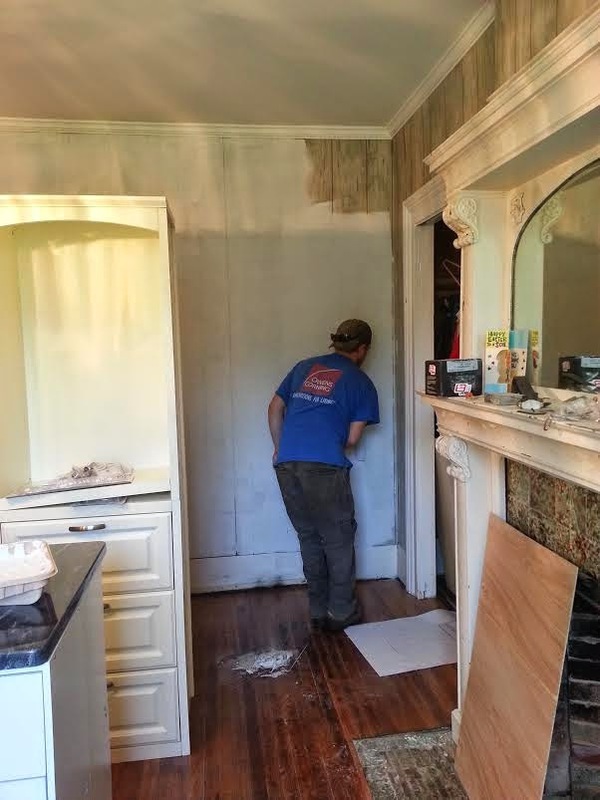 Your kitchen is going to be amazing! I love the countertop/backsplash/cabinet combo you picked out!! 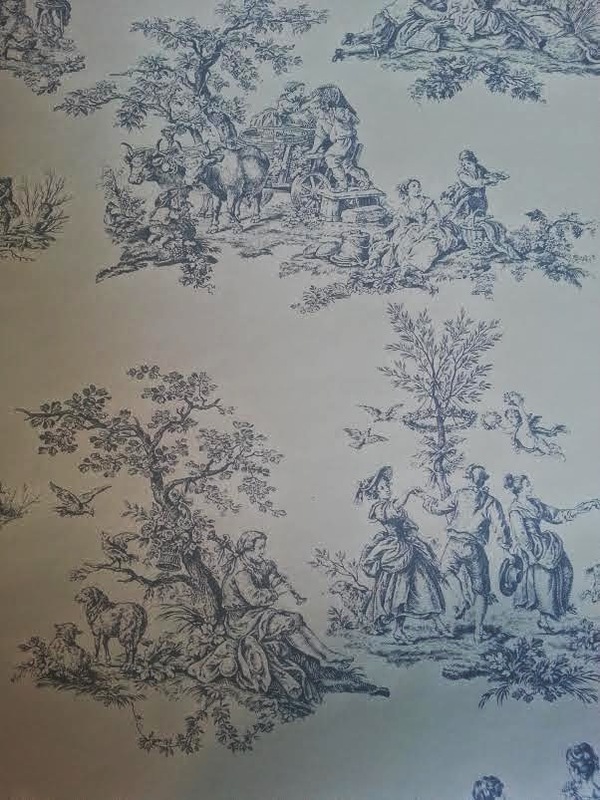 And loving the toile wallpaper too. Looks awesome lady!! Looks amazing! So exciting to restore this beauty! So much progress! I bet you're so excited about how everything is coming along- it looks great, girl! Love Love Love!! 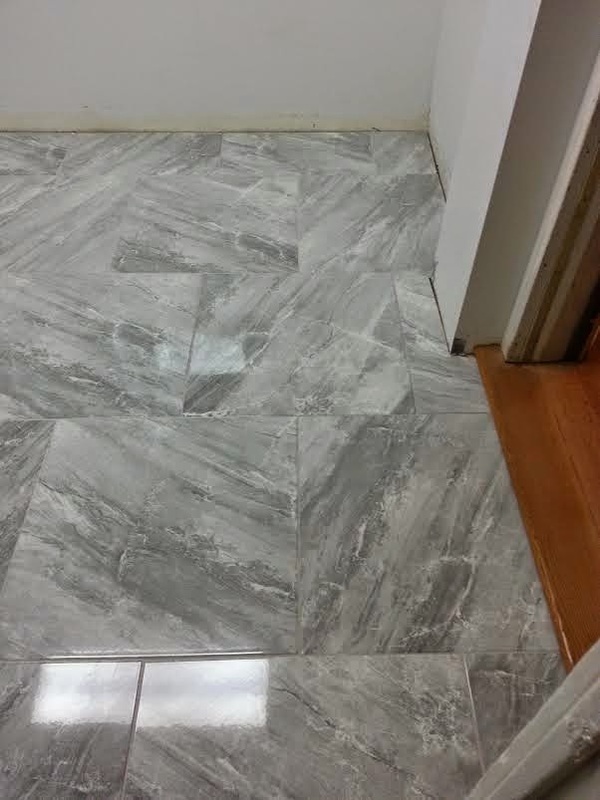 The granite, the tile, that master closet ISLAND...are you kidding me?!!!!! oh man, I'm tired just reading that! It all looks great though. 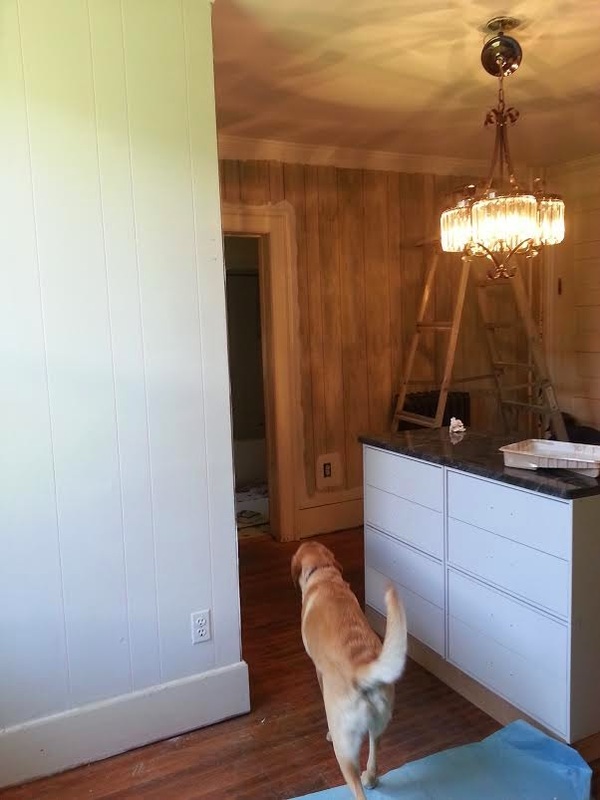 Love the beautiful counter tops, and wall paper. Yay for getting projects done. LOOKS AWESOME!!!! I'm in love with your kitchen counters!! Wow...really coming together. Looks gorgeous! your counter tops are gorgeous! love them, and that wallpaper! hope the rain stops so they can get the roof done! Those countertops are GORGEOUS!!! I am in love with them! Everything looks fabulous. I love the wine theme wall paper;) and I see you are from Farmville, I spent lost of time there. I had quite a few friends that went to Longwood. I grew up about an hour from there in a very, very small town outside of Lynchburg. EeeeeeeKKKKK!!!!!!!!!!! 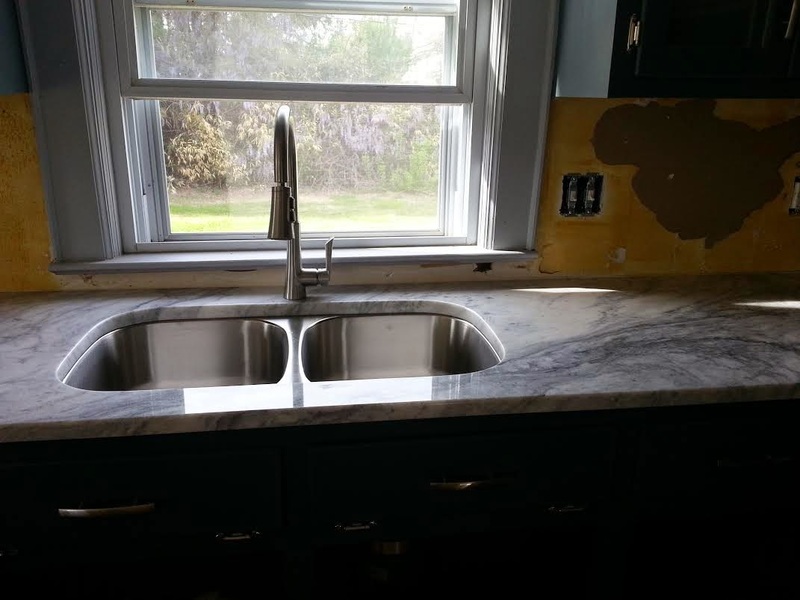 The countertops are gorgeous! 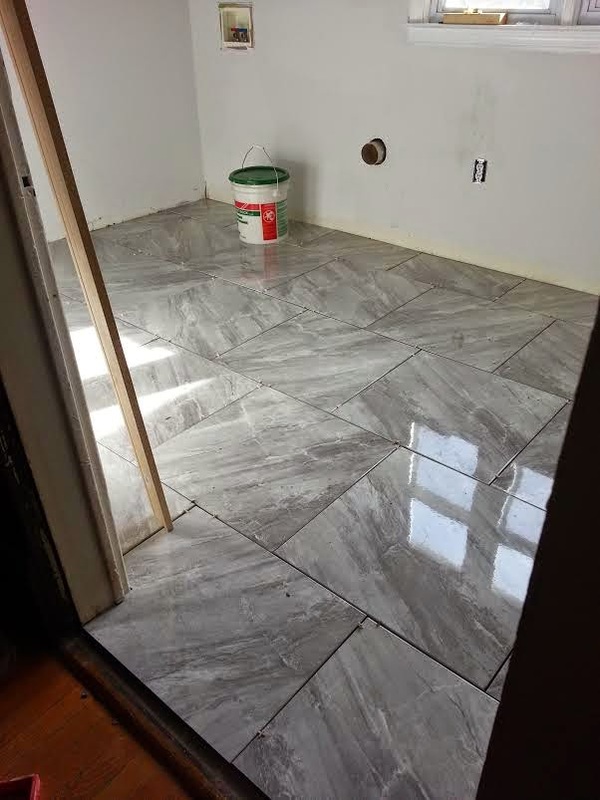 So is the flooring in the laundry room! 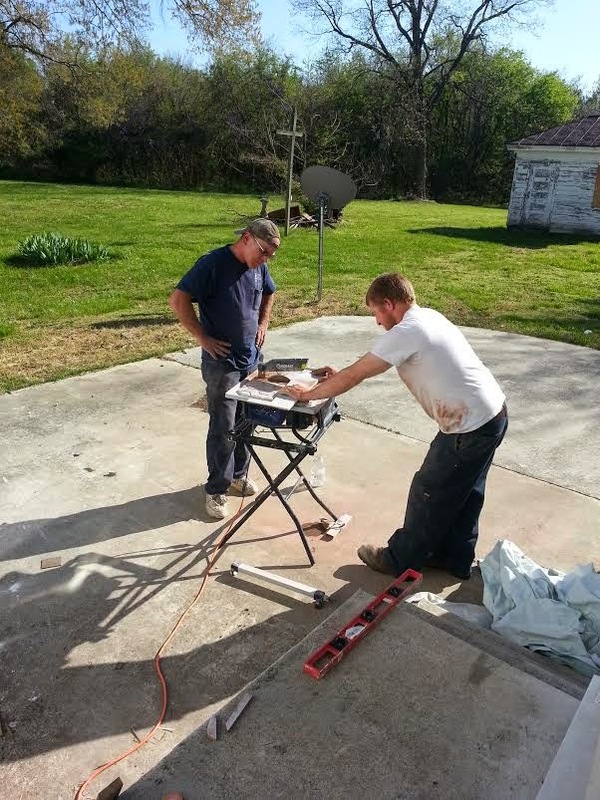 You guys are like master remodelers! Haha! :) Keep the hard work coming along! Everything looks so gorgeous, girl! That bathroom is going to look fabulous when y'all finish and I love the counter tops! Loving following along with y'alls progress! 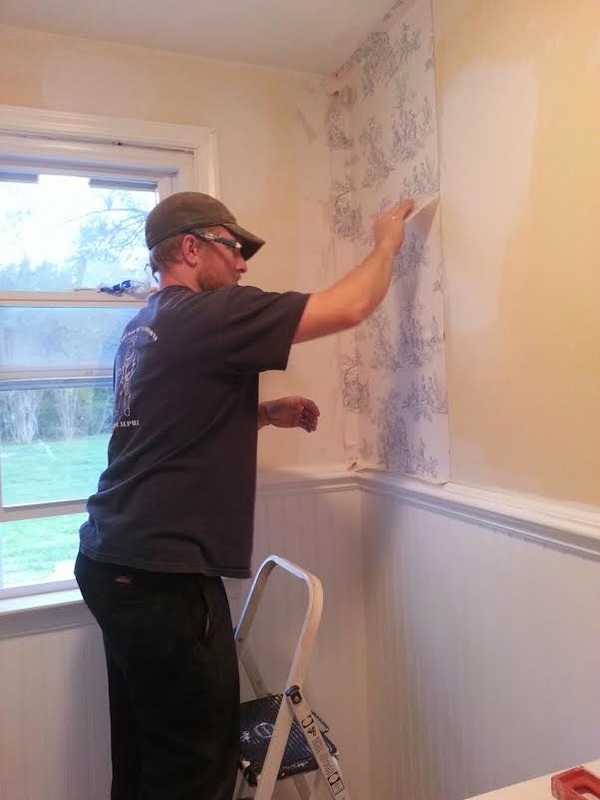 Holy cow, I have missed so much on the house reno!!! It's all looking amazing--you guys have a tee talent!!! 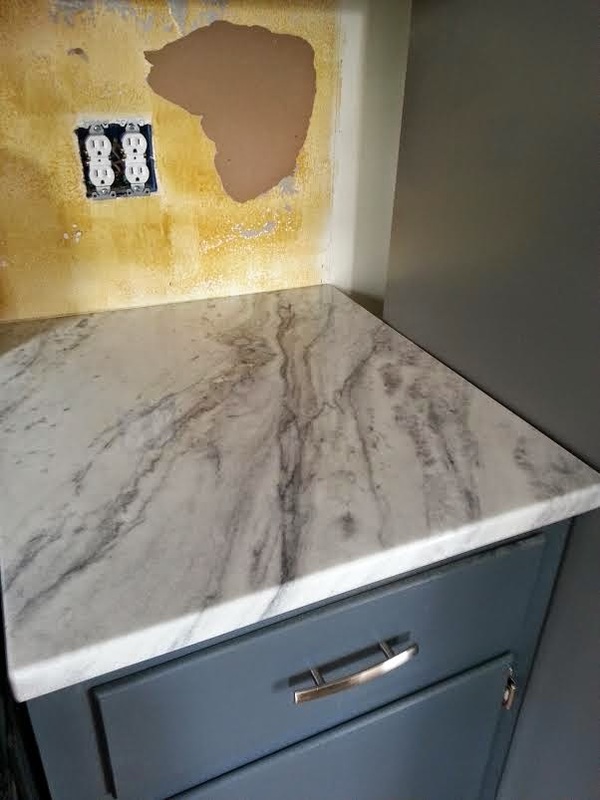 Quick question...are the kitchen countertops granite or marble? We're building and I'm looking for just that!! !